When I picture Bob Goff, I picture a boisterous, fun, loving, Young Life leader. All the adults I have met who have worked in Young Life have charisma – and they love well. 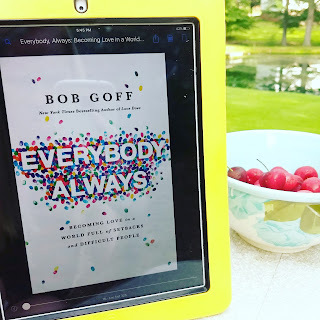 Just like listening to these types of people speak is engaging, Bob Goff’s shining personality also breaks through on the pages of his books. 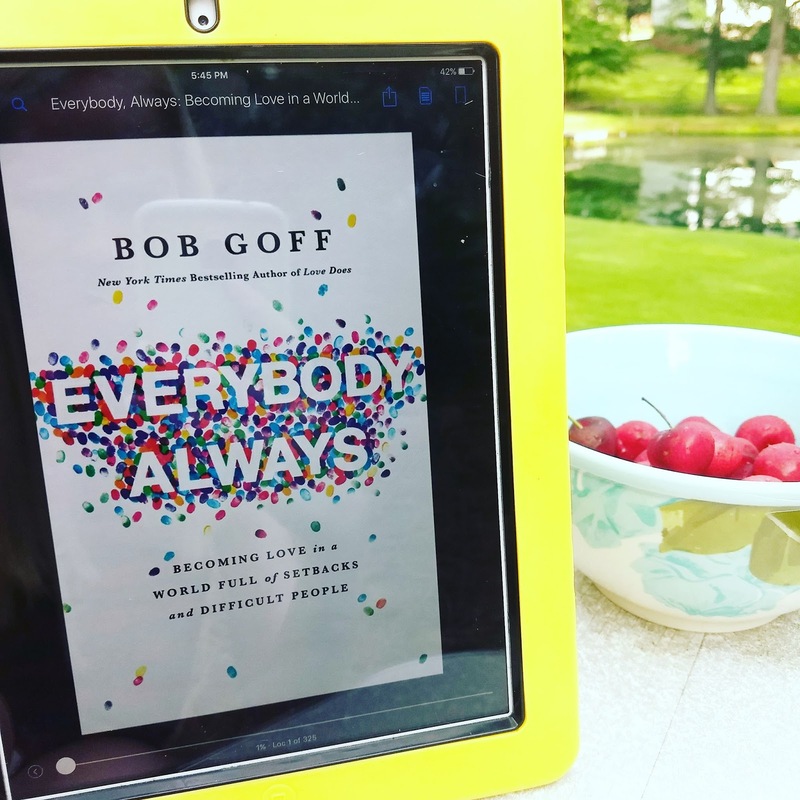 After reading Love Does and finding it inspiring, I was thrilled to hear about the release of his new book, Everybody Always: Becoming Love in a World Full of Setbacks and Difficult People. Then, my wish was granted by Netgalley and the book was in my hands. And, the title alone made me hesitate. Everybody always? That’s tough. Honestly, I’m more of an everybody sometimes, a few people most of the time, and nobody somedays kind of gal. Factor in that my church was doing a series on being welcome, and I just about had enough of God using people to tell me to be more loving and kind to every single person you meet. You see what I mean? Good stuff in the book, you guys. But, also challenging stuff. I am nowhere near where I should be when it comes to loving everybody always. I have a LONG way to go. With that being said, I do not agree with everything Goff says. I think he means well, but some of his advice does not seem to fit in my life. For example, Goff places heavy emphasis on the importance of where important conversations take place. I get the idea, but I am also not wealthy enough to meet with my friends at Disneyland just to have a talk – nor are most of my friends. Plus, I work at home with my two children. For me, it is more important to pray for wisdom and discernment regarding what I say rather than where I say it. I have had some very important conversations with friends in loud fast food play areas. Thanks so much for the free copy to read and review, Netgalley!